March Madness can be a gruelling time for players and coaches. If you succeed in the tournament, you are going to clock up a lot of miles travelling and plenty of time on the court. This is why it is important for players to get as much rest as they possibly can in between games and you can bet that there will be plenty of basketball players in need of a good rest at the end of it all. The thing is though, March Madness isn’t just a time for the players, it can be draining and tiring for everyone involved with it, including the fans. For many basketball fans, the premier NCAA tournament is an all-encompassing event that moves in eating, breathing and sleeping as being a vital component in their life. With games taking place all across the day, this is a tournament that requires a lot of work and effort to stay in touch with. Of course, in the long run, something has to give. It is impossible for people to keep going at full-strength in everything in their life. If March Madness fever is kicking in, something has to drop down or drop out for a little while and it seems as though in America, basketball fans are swapping focusing on work for the excitement of March Madness. 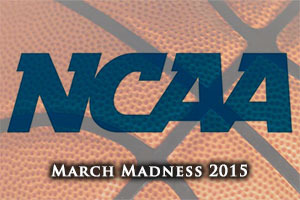 Have a look at our comprehensive March Madness Betting Guide. We encourage you to read this guide if you are new to – or want to know where to wager on the NCAA Basketball tournament. Will business be affected by basketball tournament? Studies undertaken by Challenger Gray & Christmas, a global outplacement firm, states that the financial impact to businesses in the United States, of March Madness, could hit close to $1.9 billion. The firm believes that the amount of work time lost due to people creating brackets, streaming live games and checking out the scores of games amounts to $1.9 billion. There will also be plenty of chat about the games and what is coming next so you know that the water cooler area is going to be a hive of activity when March Madness is one. Between the period of March 15th, Selection Sunday, and the Championship game on April 6th, a lot of employees are going to be significantly less productive than what they would be at any other time of year. This can be particularly damaging for firms who have a lot of work to take care of before the end of the financial year. The action realty gets underway on Monday the 16th of March and this is likely to be the weakest day for productivity. Scores of employees across the country will be taking to their brackets and determining what to bet. There is no denying that this is going to be a busy day and it is up to employers to keep a close eye on what is going without actually coming down too hard on their employees. It is believed that around 60 million people in America will take the time to complete these brackets. When you add in the fact that the first two proper days of the tournaments sees a dozen games being played out during normal working hours and you have a recipe for very little work being done. Some firms may think that banning March Madness talk and internet access for a few weeks will help, but in the long run, that would be counter-productive. The hit to staff morale may cause even bigger problems so it seems as though March Madness is set to be a factor in the workplace for the next few weeks.